Copyright © 2016 Apple Inc. All images belong to Apple Inc.
iMac has always been about having a huge, immersive place to see and create amazing things. So making the best possible iMac meant making the best possible display. 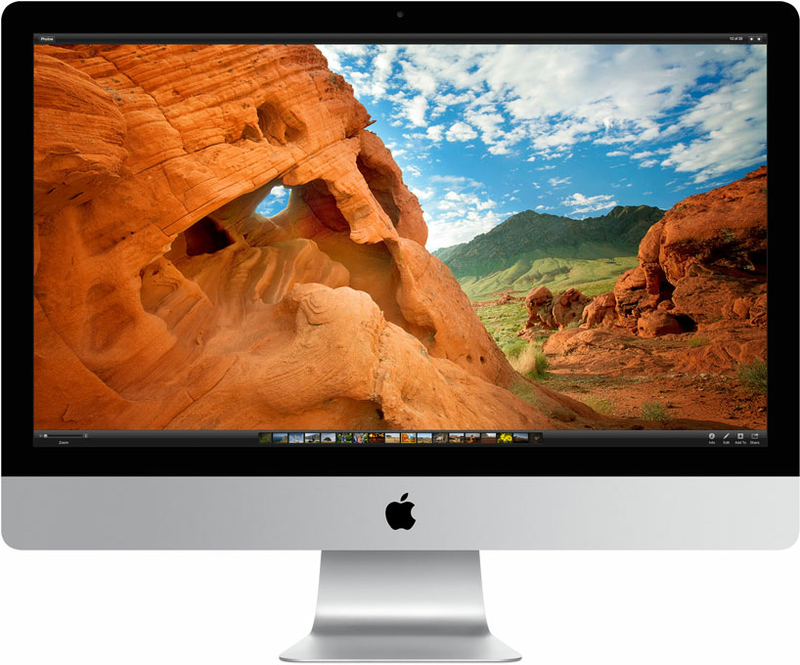 The new 27‑inch iMac with Retina 5K display has four times as many pixels as the standard 27‑inch iMac display. So you experience unbelievable detail. On an unbelievable scale. 14.7 million pixels. And the power to do beautiful things with them. At such a scale, even the best existing technologies wouldn’t have made this iMac possible. So we did the impossible — developing a display with the performance to light up 14.7 million pixels, reducing energy consumption while maintaining our high standard for brightness, and advancing image quality for the most striking contrast ever. And we did it all without compromising the incredibly thin design, just 5 mm at its edge. The most stunningly powerful iMac yet. 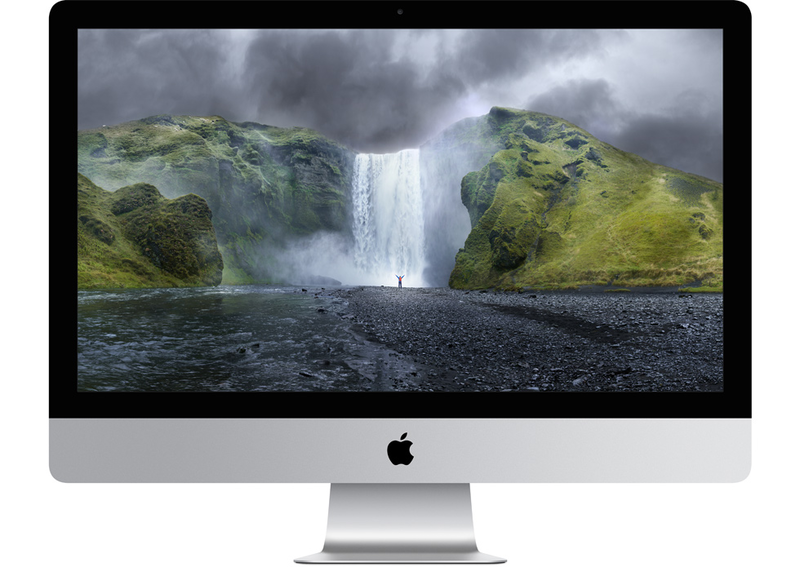 The most stunningly powerful iMac yet.The new iMac with Retina 5K display doesn’t stop with an amazing screen. With a quad-core Intel Core processor available at up to 4.0GHz, the latest AMD graphics, an advanced Fusion Drive, and Thunderbolt 2, there’s a very powerful Mac behind all those pixels. OS X El Capitan. The world's most advanced desktop operating system. OS X is what makes a Mac a Mac. Not only is it designed to be intuitive and easy to use, but it’s also engineered to take full advantage of the Retina 5K display, so you’ll see everything on your desktop with stunning clarity. It features an incredible collection of apps you’ll use — and love — every day. And it’s designed to enable your Mac and iOS devices to work together in amazing ways.